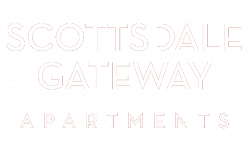 If you are looking for an apartment in in a great location, then Scottsdale Gateway in Tempe, Arizona is the place for you! We are close to everything and anything you could possibly need! We are 5-10 minutes away from Old Town Scottsdale and Arizona State University. The Scottsdale greenbelt and Tempe Town Lake are in close proximity, as well as hiking at Papago Park and A Mountain. It's easy to find a place to eat when you have dining options ranging from McFate Brewery to Divine Berry Acai Bowls. Because we are located right off of N Scottsdale Rd., taking the bus, shuttle, or driving around is made simple and easy. Schedule a tour today to see our apartments in Tempe, AZ.